As I scrolled over the media surrounding Women’s Health Week in anticipation of adding to the discussion, I felt an unease wash over me and wondered how I was going to contribute when what I saw didn’t ignite within me any sort of inspiration. There was nothing ‘wrong’ with what I saw; images of happy and healthy women, contributions from wellbeing experts and a plethora of suggestions on how to reach optimum wellbeing, it was more about what I felt …which was less encouraged and more pressure to look outside rather than in for my best possible self. So…. instead of just writing another “eat better, practice self-care, exercise more and change the way you think” posts, I decided it would be more helpful and enjoyable to interview a woman who inspires me deeply and radiates my idea of a truly healthy woman, Maria Dolenc. I have never met anyone who flows so naturally with life and says a wholehearted YES to all that it brings. In her 70’s, I’m in absolute awe of her energy, the essence of who she is…it touches me deeply and turns me toward a search for my own innate knowing of what my body, mind and soul needs. While she does eat well, practices self-care, meditates and has loving connections with those around her, these are not what she grasps at to feel healthy, they are simply a by-product of her practice in being fully here & now, going within instead of outside for answers. Q: There is all this information on what health and wellbeing is, looking at our diet, hormones, taking time for ourselves, seeing a specialist, exercising, what place does all this advice have in truly being healthy? M: I wouldn’t even respond to that…though I can identify with it all, not looking after myself. I have been there and I almost had to have a breakdown before I could start to look at what am I doing in my life and why it is not working. Then I could tune in to what my need really is, taking full responsibility for my life while being careful how I rely on the external and not looking after myself in a good way. Our culture now is not healthy and we need to be careful we don’t get hooked on this meaning of wellbeing. Come back to trusting ourselves and inquire into ourselves. Nobody can give me the answer; I need to find it within myself. Then it’s natural that I want to live a healthy life, however not in an addictive way. Healthy eating… it’s just a lot of common sense. We have lost awareness of what’s needed in a healthy way. Self-awareness and taking responsibility for my being, it has to become our priority. Getting friends or people around me that are on the same level, is important if I value my life and who I am. Q: Then what about all these actions we should take and positive thinking? M: I don’t believe in positive thinking at all, it’s like a bandaid on my wounds. Yes, look at our conditioning, how I learnt my patterns, look at my childhood. I needed to stop acting out the patterns passed onto me, that’s where the freedom is and the joy can come in. It’s about being self-reliant and leading a very simple life. We need to come to that simplicity and goodness and knowing that ‘who I am’ is enough. I went to doctor when I was very depressed, and he gave me some tablets and I took them for two weeks and something became clear… it wouldn’t help resolve the issue, so I looked for another way. Q: Do you think it requires a deeper readiness to look beyond the surface stuff? M: When a person is ready to take the next step they will find their way. When the student is ready the teacher will appear. They will find a way. We can get into a trance of looking for a quick fix or a spiritual bypass…if I do this or this then I will be okay. I was there earlier in my recovery looking for a quick fix, then I came back to myself. I needed to use my critical thinking, use my mind well and not just be lazy in my thinking. We need to be careful there is a lot of offering from outside but this will not fix you. Q: So if we need to accept where we are now, how do we change? M: First, I need to accept that I am in difficulty, that’s the first step. Ok I’m stuck I don’t know what to do and have nowhere to go. When I accept this, I can relax and be myself and then the guidance will come as to what to do, you just listen. It’s a tricky one, we don’t need to listen to another’s conditioning. We need to listen to our inner intelligence, we block it with all the conditioning. Look at the small children… they are so alive. We then get conditioned by school, church, society on how to be. It’s also important to stop blaming others. When we stop focusing on the external, blaming society, politicians and so on, we can come back to ourselves and who we are beyond the struggle and suffering. There is a lot of help: therapy (but also be careful what kind of therapy), 12 step groups, other groups… lots of different ways to support ourselves when we are ready and of course, there’s nature. M: I just re-read the article on abundance and I just love it…women are stuck in being more, having more, needing to change, but abundance IS who we are. Let it be that, unhook and come to your own heart, fearlessly. We need to stop looking into the future and just see what we are doing now. As co founder and Director of Byron Private, Kylie has played a vital role in the vision, establishment and development of Byron Private Treatment Centre. Kylie draws on her experiences and qualifications to ensure the program at Byron Private continues to be not only reputable and professional but most importantly heartfelt. Kylie holds a Bachelor of Social Science (Counselling) and has completed extensive studies in Family Systemic Constellation work, a cornerstone element of therapy for clients of Byron Private. Kylie began her own journey in recovery over 18 years ago from disordered eating and addiction and understands first hand the challenges and wonder of recovery. Maria Dolenc is family therapist and constellation facilitator at Byron Private Treatment Centre, Byron Bay. Qualified as a Gestalt Therapist, Family Constellation Facilitator and Addictions Counsellor Maria has over twenty years experience working with individuals, couples, families and groups. Maria has studied Family Constellation work with leaders locally and overseas. She has been conducting Family Constellations Workshops and Facilitators training in Australia and Internationally for over ten years. 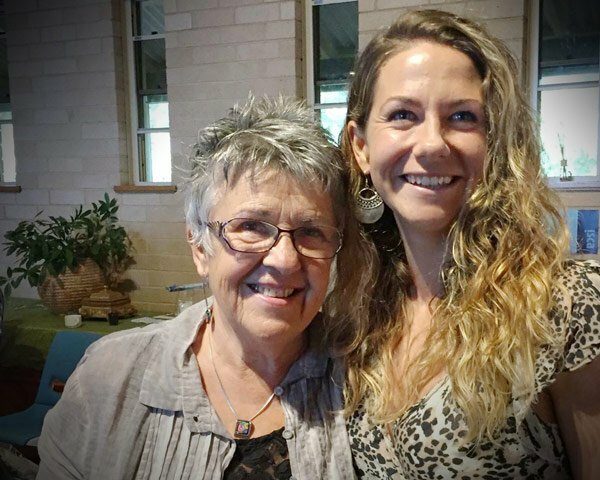 She has been instrumental in bringing Family Constellation to Sydney as well as being part of organising the first three Australasian Constellation Intensives. She devotes most of her spare time doing what she loves – family systemic / constellation work. Working as a professional in health I was dismayed of the little and inadequate information I have seen this week being women’s health week. This was a refreshing substantial read thanks Kylie and Maria for an extremely insightful and judicious article.